These are summer flowers, but the picture captures a late fall mood. 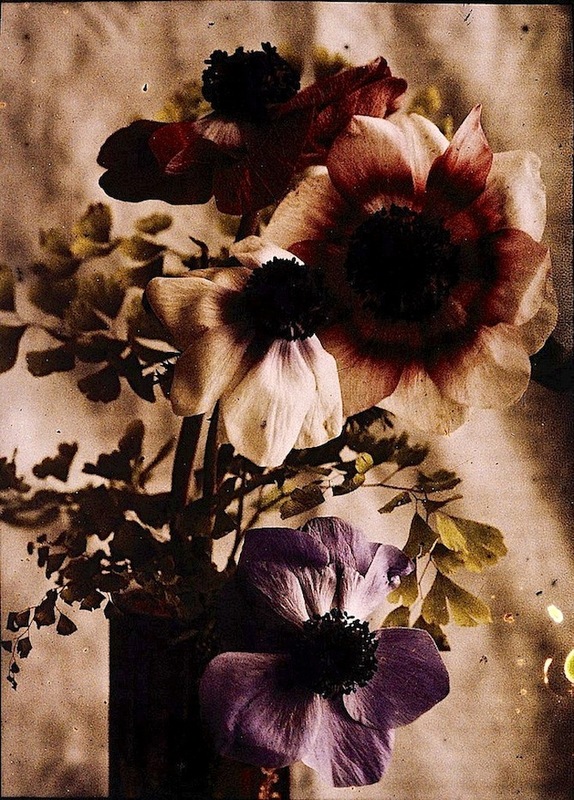 An autochrome still life, probably taken in Sweden, ca. 1910s, by John Jäderström, via Tekniska museet on flickr (under CC license).